It was “The Year of Dairy Cows” at the 2012 Indiana State Fair, and over 80,000 fairgoers celebrated by heading straight to the American Dairy Association of Indiana’s iconic Dairy Bar to enjoy their favorite treats. Over 64,400 rich, thick milkshakes—the Dairy Bar’s signature item—were served from the popular Main Street structure that pays homage to historic round dairy barns. Chocolate was the big favorite with 29,603 shakes served. Vanilla edged strawberry for the runner-up spot this year, followed by the brand new ultra-refreshing lemon shake. A Dairy Bar favorite—the classic grilled cheese sandwich—was ordered nearly 36,300 times! American on White remained the top pick of fairgoers (12,626), with Colby on Wheat, Pepperjack on Sourdough, Swiss on Rye, and the new MOO Chew on Sour Dough in close pursuit. Nearly 20,000 cups of ice cold milk quenched thirsty guests. Chocolate edged out white milk as the fairgoers’ favorite. More than 71,000 mozzarella sticks were served to appreciative customers, and over 6100 cups of deliciously rich custard were ordered. Chocolate, again, reigned supreme over vanilla by right around 850 cups. Over 2800 moms took advantage of the best deal at the fair: the Dairy Bar’s Kids’ Meal. Consisting of a grilled cheese sandwich, apple slices, milk, and a got milk? crazy straw, this fun and nutritious option was available at the family-friendly price of just $4 per meal. But top prize goes to everyone’s favorite summertime treat—ice cream! More than 80,000 scoops in six different flavors were served up (an increase of a whopping 20,000 scoops from the 2011 fair!). Perennially popular Chocolate was the number one selection of fairgoers, followed by Moose Tracks, Butter Pecan, Strawberry, Chocolate Peanut Butter, and Vanilla. “The Dairy Bar has been at the Indiana State Fair in one form or another since the 1940s, and we try every year to build on our history with this great event and come up with something new that enhances, yet maintains, the tradition,” said Deb Osza, general manager of the American Dairy Association of Indiana. 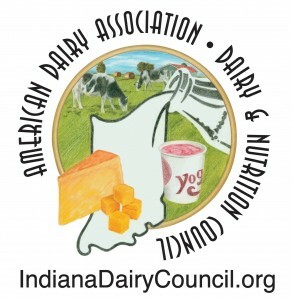 For more information about the American Dairy Association of Indiana and its Hoosier Dairy Farm Families, visit www.WinnersDrinkMilk.com. In addition to her duties with Naptown Buzz, Mel McMahon is the owner of Indiana Originals. 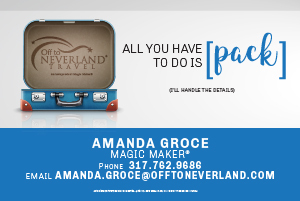 Indiana Originals is a growing directory of locally owned and operated businesses headquartered in Indiana. IO helps customers with a local preference find local businesses for their everyday needs. Looking for a local bank, local restaurant, local boutique? Find them on IndianaOriginals.com and on the free app for iPhone and Android. Indiana Originals. Leading Local Living.